When my students see the syllabus on the first day of class they cry in unison, “But I’m no good at writing”. Writing a research paper is one of the greatest challenges for many psychology undergraduates, and teaching students how to write research papers is certainly one of the greatest challenges educators face. At Hunter College, as at many CUNY schools, all psychology majors must complete a psychology research methods course. At each campus this course involves slightly different requirements, but the one unifying component is the research paper. 1. Use a Rubric. Using a rubric and sharing the rubric with students before the paper is due makes expectations and grading criteria clear. A rubric tells students important information about what their audience (me – the teacher) will be looking for and helps them compose their paper accordingly. The rubric is also helpful for me as I grade and later return papers. Along with track changes, the rubric is incredibly useful for dealing with student’s grade related queries. Admittedly, I do not always remember each paper – or why a student earned a particular grade, but one look at the rubric and I can see exactly what I was thinking when I read that paper and I can quickly articulate this to the student in person or over email. This gives the student a better sense of what they need to improve on in the future too. Why not use a rubric? Rubrics – like many useful tools take time to create. So don’t create it from scratch – adapt one. Here’s a rubric I adapted from Seamus Donnelly (a graduate student whom I TA’d for), or here’s another one created by the Hunter psych department, or create your own using Rubistar’s templates. 2. Writing Time and Rewards. I’ve written a number of posts on my personal blog about the pros and cons of Silvia’s (2007) writing approach detailed in his APA published How to Write a Lot. Silvia’s book is geared towards professors and graduate students – though his approach is useful for undergraduates too. Silvia encourages his readers to make a writing schedule, plan out goals and form writing groups. The writing schedule, or what I call “my meetings” should be regular, at least three or four days a week for about two hours. The time can be used for any writing related activities, such as searching for literature or running analyses. A writing time is not to be used for checking Facebook or responding to emails. During this time Silvia suggests turning off phones and even the Internet (gasp!). Furthermore, I encourage my students to plan appointments and extracurricular activities around this time, as I if it were an actual meeting . To bring this point home I show my students my Google Calender and writing times. In addition, Silvia suggests charting writing progress and goals and keeping track of completed and uncompleted writing times with an excel spreadsheet. I encourage my students to make goals and spreadsheets for themselves. To scaffold this I make certain components of the paper – such as writing an article summary – one of their homework assignments. Furthermore, I consistently reference what they should be planning for their weekly writing times, with statements like “this week you should use your writing time to search for sources”. themselves by planning dinners after completing a major paper, or, in my case, after passing my second doctoral exam I bought a used bike! The only reward, however tempting, that is not allowed is skipping writing times! 3. The Paper Workshop. In my class, I ask students to bring in a working draft the week before each paper is due. During the class period, I lead a workshop where the students critique each other’s work. I think it is important to set very clear guidelines for this workshop and to walk the class through the paper section by section – starting with the cover page. For each section, I ask students to make at least three positive comments and three critiques or questions and if they can to relate these to the rubric. I even give an example of positive comments such as “I like how your running head is in all capital letters”. Depending on the complexity or length of each section of the paper I give students different amounts of time. I usually allow students two minutes to review each other’s cover pages, while I might break the introduction into two five minute review sessions. During this time I often project an APA sample paper for the corresponding section as I walk around the room and check in with groups. After the allotted time, I call on groups (I suggest groups of two and no greater than three) and ask them to share a positive comment from their partner’s paper. I elicit about three positive comments and then shift to asking for questions and critiques. As a class we work through the entire paper. Perhaps someday I will meet this mythical being called “the good writer”. Until then I believe that good writing takes practice, perseverance and planning. Throughout my course I show students the strategies I use to become a better writer. I approach my own writing projects by studying the provided rubrics – beyond the classroom such rubrics more often take the guise of calls for papers or grant guidelines. I plan out what I will do and when, generally by allotting blocks of time and aiming for specific deadlines. Finally, in search of constructive feedback I share my work with my adviser, my colleagues, and sometimes my wife. In my research methods course I encourage students to try out and adapt the practices that have helped me develop as a writer into their own schemas and schedules. As a time-strapped teacher or teaching assistant, technology can be your worst nightmare or your best friend. Here are 5 free tools that are intuitive and both easy-to-master and implement for a variety of situations. “What did you write here?” “Which sentence were you referring to when you said that?” “I lost the paper you handed back, can you tell me my feedback again?” These may not be commonly voiced problems, but are indeed problems for students. Unless you make class time to account for it many students may never refer back to and learn from your feedback. Emailing students a copy of Microsoft Word Review comments helps meet the needs of students’ digital study habits (and their often disorganized real-life study habits). You can follow up with a request that they clarify a question they have for you about their grade. Instructions: Select the offending sentences. In Microsoft Office > from the REVIEW tab, click “New Comment” and type in feedback. Do you spend hours adding up grades with finger-counting and complicated calculators? 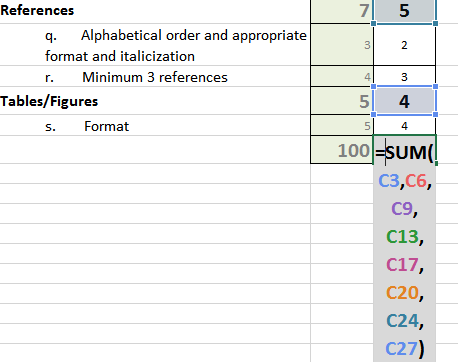 Save time with your own in-house Excel rubric. This rubric can also be copied and pasted directly into a Word document to be printed out or emailed to students. More advanced setups can allow you to automatically calculate class averages and course totals. Download the worksheet as a template. Are your PowerPoint slides useful as study tools in and of themselves? The PowerPointing of Education has its critics… Here’s one treatment: add a short audio narration to your PowerPoint to summarize the key points and mix some verbal context into those bulletpoints. A few studies in the 1980s examined the effect of teachers verbal expressiveness and inflection (which means change in pitch, loudness) on teaching outcomes (Marsh, 1984), concluding that it was more important the content itself! While that claim may not pan out, the initial evidence points to expressiveness being very important for comprehension. When students review notes and slides they may find your expressiveness to be a very welcome companion. 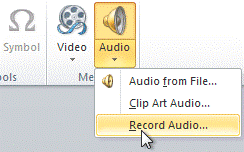 Instructions: In PowerPoint > from the INSERT tab > go to Audio > Record Audio. Microphone required. Students come into your class with all different levels of visual acuity. Windows 7’s Magnifier is a tool that enlarges the size of the area of the screen where your mouse is. By moving your mouse you can point to the relevant part of the screen that your students should be looking at. Besides its value to differently-abled students this tool also helps viewers to jointly attend to the on-screen information that you’re attending to. Instructions: From the start menu, search for “Magnifier” > going to “Full Screen” magnifies the whole screen, “Lens” creates a magnifying lens, and “Docked” docks the zoomed image at the top. “Docked” mode is least obtrusive. Did you ever have a point that you wanted to illustrate using characters or dialogue? Did you ever say “This stick figure resembling a tree branch is supposed to be a little boy”? Storyboard That! 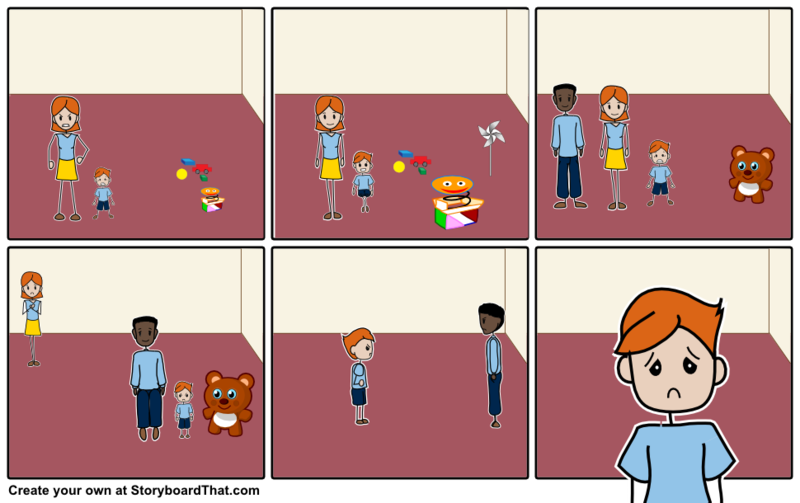 There are many other free story-boarding tools, but storyboardthat.com is a quick-pickup tool that can liven up a dull PowerPoint and bring home an idea visually. Screenshots courtesy of the snipping tool. Free and paid alternatives to all of these tools can also be found on alternativeto.net. Please check back soon for more teaching tips! Sometimes graduate students are required to teach courses soon after they enter grad school. Often these students have had little teaching experience and feel that they are not being supportedundefinedwe certainly felt this way at times! Furthermore, you might not know very much about some of the content of the course you were assigned to teach. The good news is that you do not need to start from scratch as many resources are available either online or in print and these resources can support you in preparing your course. Furthermore, entering a classroom for the very first time can be an anxiety provoking experience. This blog article discusses some of the supports and resources available to help you cope with the stressors and requirements of being a new teacher. First of all, you might want to ask around for campus resources at the college where you are teaching. Many campuses provide training for new teachers through Centers for Teaching and Learning. For example, the Psychology Department at Queens College offers a Teaching Apprenticeship Program (TAP). This program helped me (Theresa) a lot! As a first year adjunct, I did not know anything about teaching psychology, even though I was pretty good at learning it. TAP introduced me to a community of adjunct instructors who were familiar with the myriad challenges part-time instructors face, such as fostering positive student–teacher interactions, tackling student complaints, learning how to avoid bias, be fair, set a positive tone for the class from the very first day, how to plan a course and write a syllabus, and many other things that, as a first time instructor, you might never have thought about or expected. TAP is divided into four steps: 1) TAP workshop, which is predominantly theoretical, 2) Observation, where you observe a faculty memberundefinedyour assigned mentorundefinedteaching, 3) Lecturing, where you are given an opportunity to teach a topic of your choice to the class that your mentor is teaching, and 4) Evaluation, where your mentor evaluates your teaching methods and writes an evaluation. I found this to be helpful, primarily because of the feedback I received from my mentor about my teaching. Another useful course is the Teaching of Psychology class, offered annually at The Graduate Center. In this course, I (Rita) was introduced to teaching tips and relevant activities for courses I would likely teach in the future. I learned a lot from the experiences of the other graduate students in the class who ranged from first-year students who had not yet taught, to more advanced students who had taught for one or more semesters. I took this course when I was a first-year students, and it helped me develop a course syllabus, a statement of teaching philosophy, and useful classroom activities. Importantly, as part of this course I am able to observe and learn other people’s teaching skills. Other valuable resources are the many conferences where graduate students and experts in the field gather to share their teaching experiences. Such conferences include our own Pedagogy Day conference, held annually at The Graduate Center where experts come to talk about teaching and present their research findings about efficient and effective teaching methods, and many faculty members come to share their teaching experiences. The conference also provides workshops related to different teaching challenges, such as lecturing in large classes, supporting student writing, and teaching online. Another local conference, the annual New York City Subway Summit gathers people from different disciplines and universities to share research findings on teaching and learning. At a national level, the Society for the Teaching of Psychology, APA Division 2, promotes excellence in the teaching of psychology by offering online resources and services as well as holding its annual conference on pedagogy. Submissions for this year’s conference to be held in Atlanta, GA will be accepted through June 1 at http://teachpsych.org/conferences/bp/index.php. Other national and regional conferences include the APS-STP Teaching Institute, the Mid-Atlantic Teaching of Psychology Conference, the Northeast Conference for Teachers of Psychology. The STP offers a up-to-date list of regional APA Associations supporting the Teaching of Psychology. In conclusion, even though teaching may be a novel and rather stressful experience when you are trying to manage your own school related activities, there are plenty of resources available to support you. Just look around! And, even though we have focused a lot on CUNY-specific resources, there are likely to be similar ones at your own college, and the digital resources are generally available to all of us. There is no need to reinvent the wheel, others have been through similar experiences, so save yourself the stress and make use of these resources! Research suggests that students benefit from guided inquiry-based instruction (Alfieri et al., 2011), however Child Development has traditionally been taught as a content course through conventional lecture formats. Based on findings that a hands-on approach to undergraduate involvement in research in the social sciences is beneficial for undergraduate students’ personal, intellectual, and professional growth (Hunter, Laursen, & Seymour, 2006), we applied a mixed-methods model to instruction of Child Development. We sought to engage students in “legitimate peripheral participation” (Lave & Wenger, 1991) as active apprentices in the research process. Using the experiences of three instructors at the College of Staten Island, this report discusses how apprentice-style undergraduate research can be advantageous for undergraduate students’ intellectual and professional development. First, we discuss a two-fold strategy for presenting the discipline of child psychology: 1) enhanced lecture and 2) research apprenticeship. Then we examine the effectiveness of this approach for teaching undergraduates the methodologies and theories prevalent in developmental psychology. Our enhanced-lecture strategy focused on the principal content areas of developmental theory and experimental design via multimedia techniques and data coding projects utilizing both digital video and in-the-field methodologies. Our researcher-apprentice strategy required students to engage in all aspects of research design, from formulating a well-defined research question, conducting the research, to entering and analyzing the data. Our assessments included both individual (exam, lab reports based on coding projects) and group (APA-style paper, mini-conference presentation) assignments. In addition, we had one assignment that required students to combine all of the research skills and conceptual knowledge they had learned in class for a future research proposal which they presented to the class individually at the end of the semester. To examine the effectiveness of our mixed-methods approach, we analyzed 200 students’ performance from ten semesters of instruction. Pearson correlations between all assignments revealed that, except for lab reports and group papers (p=NS), all grades were positively and moderately correlated (all p’s<.01), suggesting that regardless of individual vs. group or written vs. oral, all assignments reflected students’ knowledge. A simultaneous regression analysis was conducted to predict students’ grades on the individual future research proposal. We included four variables as predictors: conceptual knowledge (mid-term exam scores), average lab report scores, final research manuscript scores, and mini-conference presentation of their group research project. 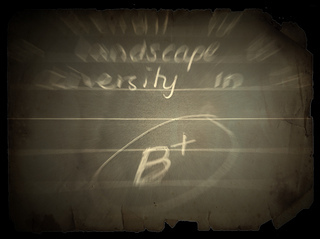 The mini-conference presentation performance was predictive of students’ grades on the individual future research proposals (p = .0001); students with higher grades from the mini-conference presentation also earned higher grades when presenting a research proposal to the class individually, accounting for 23% of the variance in the future research proposal grades, F(4, 195) = 14.72, p = .0001. Thus, techniques transfer across types, possibly by emphasizing the material in redundant, complementary ways, suggesting that a variety of strategies is optimal to convey material. Furthermore, by cultivating a “community of practice” (Lave & Wenger, 1991; Wenger, 1998) between the undergraduate apprentice, their fellow student researchers and instructor, we are in fact better preparing students for their next level of engagement as social scientists. The Platonic theory of anamnesis posits that the process of learning involves discovering knowledge that is present within us, but lies dormant until we go looking for it. The goal of teaching, then, is not to fill students’ heads with information, but rather to help them uncover, understand, and apply the knowledge that is already there. Consistent with Plato’s epistemology, I find that students often know more than we give them credit for. Indeed, they often know more than they themselves realize. They do not enter our classrooms as blank slates, but with a wealth of prior knowledge, beliefs, and experiences that can (and should) be harnessed to our mutual advantage. Students can tell that this “experiment” is patently absurd, and they vociferously object to their inevitably low “intelligence” scores. 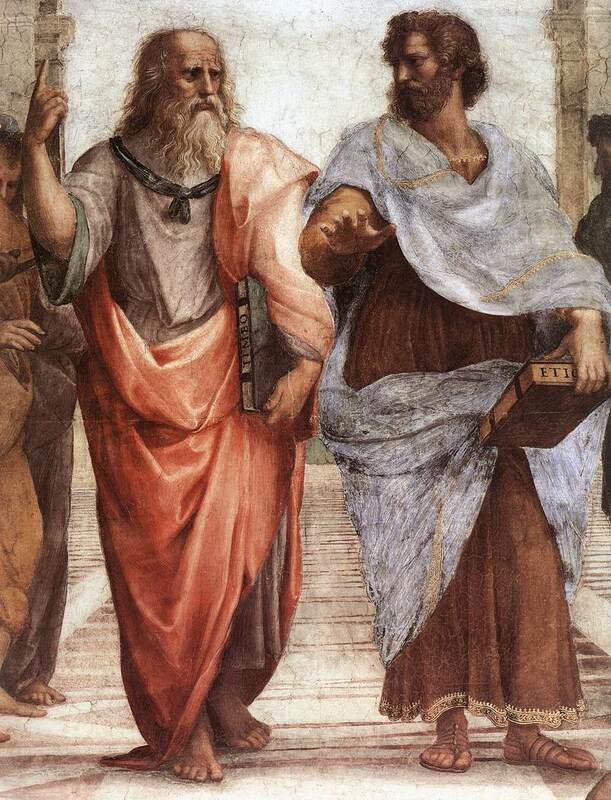 The key is to use Socratic questioning to help them realize and articulate why they so reflexively object to it. For example, I ask them questions such as, “Do you think that eating the candy made you smarter?” (internal validity), “Do you think that the test really measured your intelligence?” (construct validity), and “Do you think that it adequately measured your intelligence?” (content validity). I use a similar exercise in my statistics course. 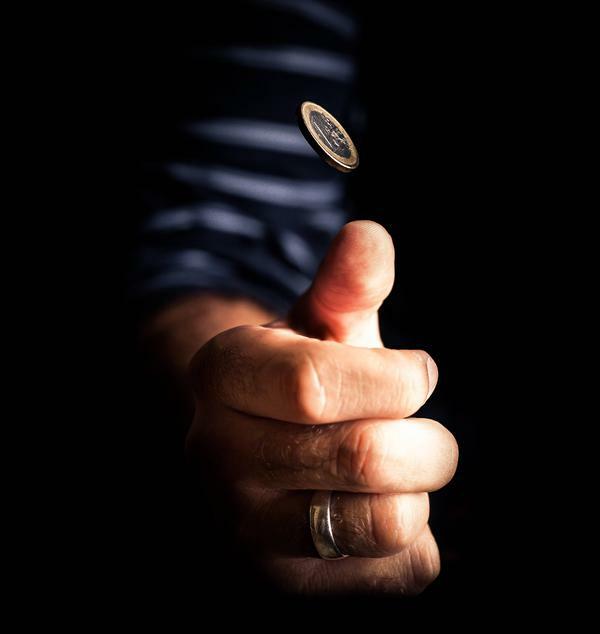 I have students imagine that they are given a “magic” coin that is allegedly weighted to yield more heads than tails when flipped. I then ask: If you were to flip the coin 100 times, how many heads would it take to convince you that this really is a “magic” coin? They can agree that a normal coin may yield 55, 60, maybe even 65 heads just by chance, but it would be very suspicious if the coin produced, say, 80 heads. At some point, they must decide when the “data” is compelling enough to reject our “null hypothesis” that this is a boring, non-magic coin. (Some students, apparently fearful of a Type I error, even demand that the coin produce 100 heads!) The logic of null hypothesis testing is an especially obtuse and alienating topic; by showing students that they already understand how it works, it no longer seems so daunting. We then build on this analogy to make other concepts (e.g., alpha levels, effect size, power analysis, etc.) more accessible as well. In the words of Jerome Bruner (1961), learning is not a search for “islands of truth in an uncharted sea of ignorance.” Rather, it is a process of discovery in which we manipulate our existing knowledge in ways that allow us to go beyond what we already know. The implication is that we should not treat students as empty and passive receptacles for information. Students flourish when they are active and autonomous participants in their own learning (which Bruner called the hypothetical mode). As instructors, we can facilitate this process by helping them unearth their existing knowledge and see its relevance to unfamiliar course material. Plato. (1976). Meno. (G. M. A. Grube, Trans.). Indianapolis, IN: Hackett. One of the oldest tools on the Internet, (besides of course, the blog) is the forum. Encouraging students to use the forum can be difficult, as mentioned by Danielle DeNigris two weeks ago, but it is also crucial, and not just as a way to get inter-student participation up in a large lecture class. The “Discussion Forum” can be a powerful tool for monitoring student progress, and for reflecting on your own successes and weaknesses as a teacher. I used a mandatory forum, as part of a hybrid online-traditional classroom, to ask my students about their study habits. There were several aims. The first aim was simply to see how they were studying and if I could correlate good strategies with good grades to advise them for later exams and also to advise future semesters of students. The second aim was to get them to meta-cognitively assess themselves – to realize whether what they were doing sounded “right” or whether it had been getting them the outcomes they desired. The third aim was to assess what concepts they were struggling with – what topics could I have explained better? Do I need to replace or bolster a bit of lecture with an activity or a demonstration? What was hardest for them? The fourth aim was to get them to learn from each other – some had excellent study habits and strategies, others seemed lost but in search of a good technique. Instead of posing a suggestion to them based on research, let them find it through the recommendation of a peer, an infinitely more trustworthy source! Lastly, and this is a major goal for me, across multiple aspects of the course, I wanted to foster a sense of citizenship within the class, which I hoped they would take with them into all the communities of their futures. They need to learn to take on responsibility to do well not just for themselves, but because they are responsible to each other – by doing well, they can facilitate others’ success as well as their own if they share resources. When they find a strategy that earns them success, I want them to connect that mentally with an obligation to give back to their community, and also to empower themselves to feel worthy of contributing to a community. By being responsible to each other, my hope was that they would raise the level of work across the class. The student used this post to convey a degree of stress and to share one of the coping mechanisms they used to deal with this stress. In addition, I learned something about this student – he or she is a musician. Now I have two new pieces of information that I can leverage to improve my teaching. I have a sense of how distressed the students are overall (useful in deciding whether to push or to ease up on them) and also a relevant topic that I can draw into examples to reach that student. Despite the heightened attention to high-stakes testing and assessment, it is unclear how or why higher education instructors select particular assessment strategies in their classrooms. In my casual conversations with fellow psychology graduate students about their teaching experiences, I have come to understand that my colleagues sometimes choose assessment strategies based on features of the course: multiple choice exams are a natural default for large course sections; pop quizzes take away from lecture time and the demand to get through specific material; there is simply not enough time to grade short answer assignments. Their choice in using specific assessment tools is driven by course design and not necessarily by student learning goals. Boyson (2012) notes that it is unsuitable when student assessments are unrelated to learning objectives: “[for example], it would be incongruent to have objectives related to written communication and not grade students on their writing skills (p. 11).” This may seem to be an obvious link, but perhaps not. Often, higher education instructors have little or minimal training in designing courses and making effective decisions about assessment tools. Emerging higher education teachers may not readily link assessment strategies with learning goals or objectives. Perhaps their choice of assessment strategies is more related to their beliefs about student assessment than to learning goals or objectives. At the Graduate Center, Dr. Maureen O’Connor and I are currently collecting qualitative and quantitative evidence about assessment strategies across diverse CUNY classrooms. In a two-phase research project, instructors at CUNY were asked about their assessment strategies. Results from an in-depth focus group revealed that while a variety of assessment tools are used by psychology instructors at CUNY (both novice and experienced), participants had difficulty making the connection between their selected assessment strategies and the learning goals established for a hypothetical course. To better understand this gap between the use of assessment tools and learning outcomes, we are surveying graduate student instructors to: (1) identify types of assessment tools used in higher education; (2) examine the connection between learning outcomes and assessment tools; and, (3) collect information about different philosophies or approaches to assessment. We are excited to present our preliminary results at the Eastern Psychological Association conference in Boston on March 15 (Symposium Title: Turning Teaching into Research: Examples from the GSTA). Results from this research will help inform graduate student training in teaching, and emphasize the need for explicit instruction and discussion about the link between assessment strategies and learning objectives. If nothing else, instructors in higher education should be aware of this link when designing effective course syllabi. If you would like more information about this project, please contact Emily A. A. Dow, MA at edow@gc.cuny.edu.